Antique 'Sevres' by Thomas (Bavaria) plate. 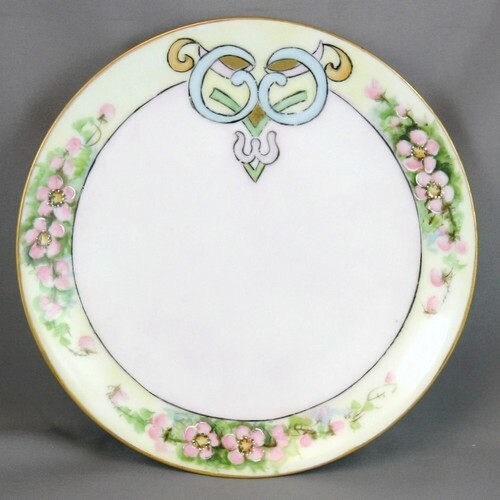 The Art Nouveau design is pink flowers with raised dots in center and green leaves on pale green and cream background with black and gold trim, blue, gold, green, and black embellishment. This dates to circa 1900. It measures about 7 1/2 inches diameter in diameter. Condition is good, with some wear. Thomas was acquired by Rosenthal in 1909.